According to a new report by Gartner, one-third of companies will face an information crisis within the next 3 years. And because there is a massive amount of technologies in the marketplace and more coming online every day, there is a total “lack of maturity” within the enterprise on how to manage and govern all this information. They claim that more than 75% of information management projects within organizations are isolated from one another. This puts Marketing in the driver’s seat for helping the business get ahead with strategic customer insights. My last article made a direct connection between Big Data and Content Marketing. And I’m not alone. Data is a core element to the success of any content marketing effort. In a couple of posts from some of the top influencers in our industry, many CMOs just aren’t ready for content marketing. He also talks about the different and isolated objectives of the search, the display, and the social teams separately driving conversion, awareness and amplification. He likens campaigns to sprints but content marketing is more like a marathon that requires new skills, continuous slow-and-steady performance and a long term approach. Newscred released this article last week on Digiday titled “You’re Not Ready For Content Marketing.” I was honored to be quoted as encouraging brands to thing and act like publishers creating content that our customers actually want. Aside from the publisher or customer-centric mindset, brands need data and insights to create effective content. This includes social listening, data integration and reporting that defines where customers are consuming content, which content works and what topics are interesting to your customers. And this is how the looming information crisis leads us right back to content marketing! 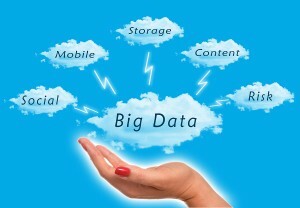 Big Data drives both the need and the practice of content marketing. I wanted to stand up and cheer when I read that your were encouraging brands to think and act like publishers creating content that our customers actually want. If we focus on the audience everyone wins, the audience and the companies sharing their knowledge. Thanks so much Melissa. It’s counter intuitive but so important to so many business leaders. Help your audience and you will gain more customers than if you try to sell stuff. Michael, thanks so much for your post. Thanks too for drawing attention to the intersection between data & content marketing and the growing emphasis being placed on content marketing. Of course, the TV & film business has been doing this for years to great effect. Thanks JA. Great perspective. I’m a big fan of real “storytellers” as well! I could not agree more. So much of the focus on content marketing nowadays is on how you measure the effectiveness of your content once you have created it and published it. And that is indeed crucial for measuring the effectiveness. Using data to CREATE content is indeed the next step that we (all companies that create content) need to take. Personally, I think that this content creation based on data, could start with having a really close look at your buyer personas and what their pain points are. Then your content could (should) be created keeping in mind what your company brings to the table to solve those. I am interested in what your view is on that: what kind of data could drive the creation of content? I think your correct that data and buyer personas can drive content. But to me that is only half the story. data can also define what topics are important. There is a concentric circle between the social graph (your audience and their connections) and the interest graphs (the topics that bind us all together). Data should drive insights into both. Then of course data can drive insights into formats, techniques, channels, share rates, influencer identification and all kinds of other things. But basically, my view is that every thing that you do in the content deevelopment and distribution process can be informed by data.